Located in a welcoming 55+ community with loads of amenities, this gently-lived in home has only been occupied by one homeowner who visits only part time. The great room boasts a comfortable living area, dining room with bay window & inviting kitchen. Here you'll find attractive, staggered kitchen cabinets, Corian counters, a walk in pantry & stainless steel appliances. The perfect floorplan in this house has a master suite, guest room AND a den! This home sits on a larger lot than most in the neighborhood & feels spacious with its open views out the back & a mountain view out the front. 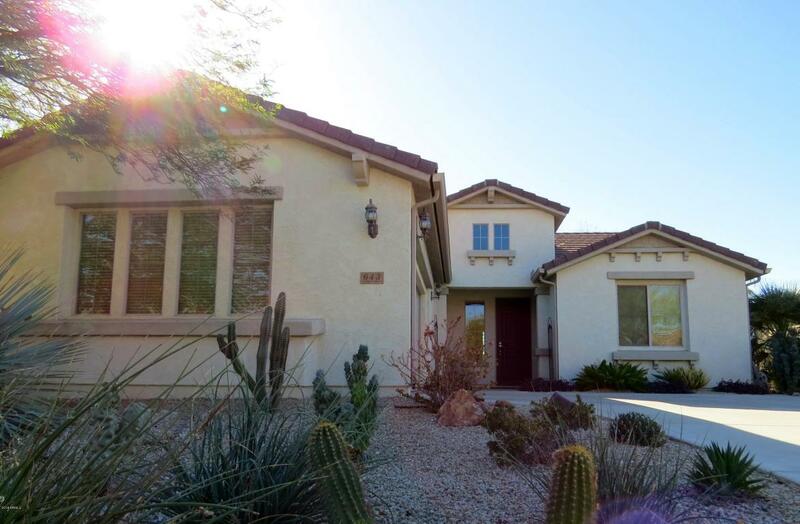 The house sits with N/S exposure; the most desirable when house hunting in AZ. All window coverings & appliances are included in the price. The furniture is available on a separate bill of sale.